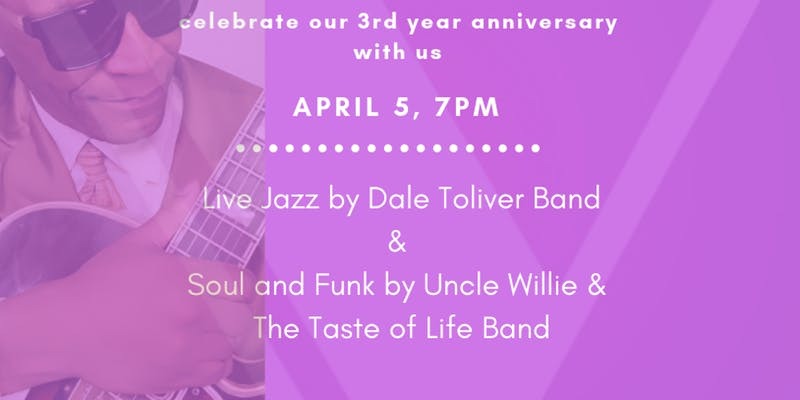 An evening celebration with live music by Dale Toliver band and Uncle Willie & The Taste of Life band. The Varsity Theatre and Banquet Hall is celebrating 3 years so put on something nice and celebrate with us. Each ticket purchase gives a complimentary glass of wine, selected refreshments, and finger foods.